Next month, I’ll make the final payment on my student loans. I’m pretty excited since I’ve been aggressively paying down my student loan debt for the past 2.5 years. I learned a lot from getting into student loan debt and it’s probably one of the reasons why I started my blog. However, if I had to do it all over again, I probably wouldn’t have taken out student loans. Having student loan debt can really set you back financially. When you leave college, you may want to do other things with your money like invest, pay for a wedding, start your family, buy a house, or travel. Being saddled with student loan debt will just eat into your income prevent you from doing the things you really want to do with your money. I was recently talking to my husband who is thinking about going back to school. Since we both took out student loans the first time, it’s very important that we find a way to avoid student loans if he does decide to go back to school. 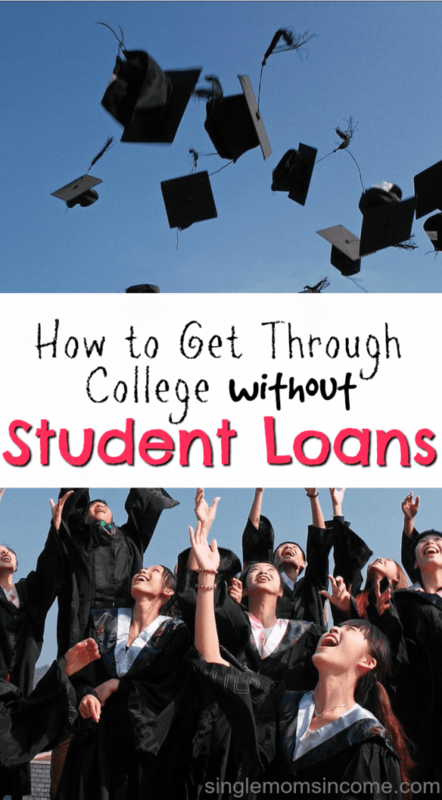 If you’re thinking about going to college to earn a degree or certification, here are some options for going to school and avoiding student loans. Scholarships really do work and it’s a primary option you should consider. Each year, more than $45 billion is awarded to students via scholarships. 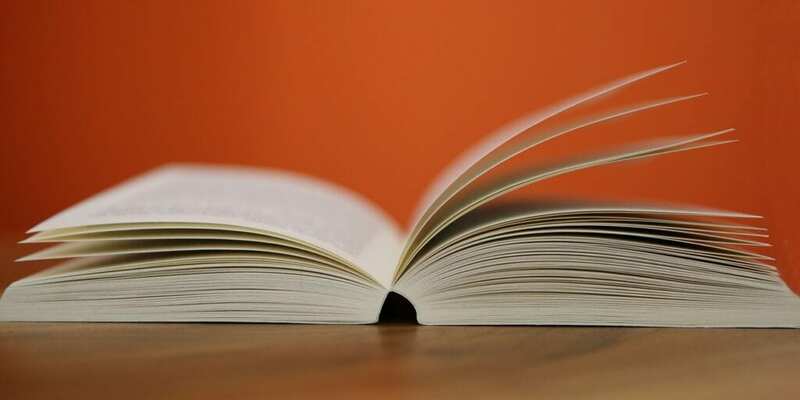 There are many different types of scholarships available including merit-based, need-based, sports scholarships and more. To locate scholarships that apply to you, start by browsing through your college’s website or asking an advisor to point you in the right direction. Some colleges and universities have an actual scholarship office to help students locate and apply for scholarships. I honestly wish I would have applied for more scholarships during college. I won the three I applied for (2 local/college-based and 1 private) and it provided some financial relief. The earlier you start your search the better because you’ll have more time to prepare all the required materials and meet the deadline. Applying for financial aid should be your first step. It’s one of the best solutions for low-income families. Even if you don’t think you’ll qualify, you should always check to see because you might just get a smaller award. First, you’ll need to fill out a FAFSA (Free Application for Federal Student Aid) each year. There are deadlines to meet each year and this year and you can view updated information about deadlines here. Once you go to FAFSA.ed.gov and fill out your application, it will be processed and you’ll receive an expected family contribution (EFC) number. The lower this number is, the more financial aid you’ll receive. You may be eligible for federal aid through the Pell grant or even smaller state grants like the TEACH grant for aspiring teachers and a FSEOG grant for undergraduate students with exceptional financial need. There are maximum reward limits but anything you receive will help supplement the costs of higher education and ease your financial burden since you don’t have to pay the grants back. In order to reach your maximum reward limits, you must be enrolled in school as a full-time student which usually means you’re taking 12 credit hours or more for the semester. If you qualify for financial aid, you’ll probably qualify for a work study as well. The Federal Work-Study program provides part-time jobs for undergraduate or graduate students with financial need so they can earn money to pay for college expenses. The jobs available vary and can be either on-campus jobs, working with organizations, etc. You’ll also have to apply for the jobs just like any other applicant would and employment would not be guaranteed. If you’re a graduate student, you can secure a graduate assistantship position and receive a tuition discount or even free tuition. College and university employees also tend to receive free tuition and I know someone who earned a master’s degree for under $100 because she held an office position at the school she graduated from. It’s no secret that community college is much cheaper than a 4-year college or university and it’s not difficult to transfer credits over to a university when you’re ready. In addition, you can save money on expenses like housing and transportation if you avoid huge and expensive university campuses. You also might find it cheaper and more profitable to learn a trade as opposed to earning a full degree. There may be local training programs in your area that will help you learn specific skills within 6-18 months so you can become certified then go right to work. My husband was able to obtain his CDL license to drive buses at a previous job in just a few weeks. You also may be able to find programs that teach you about medical billing and coding, transcription, tax preparation etc. Just make sure these programs are legit. State or federal-funded programs are the best since they’re usually cheap or even free. This isn’t the easiest option, but it can be one of the most effective options nonetheless. If you want to avoid taking out student loans, you can work while you go to school and pay for your own tuition and expenses. Some people who pay for their education out of pocket take night or weekend classes so they can work during the week. You may even want to divide your school costs up by month in order to determine how much you need to pay. Focus on lowering your expenses to free up more money to put towards school and you might even want to consider getting a side hustle if your budget is super tight. You can write articles, drive for Uber, babysit, review websites, etc. to make extra money for schools. If you’re thinking of going back to school, money can certainly be a top concern but you don’t have to resort to taking out student loans as a primary option. Consider trying a few of these solutions first to avoid having to take out student loans. 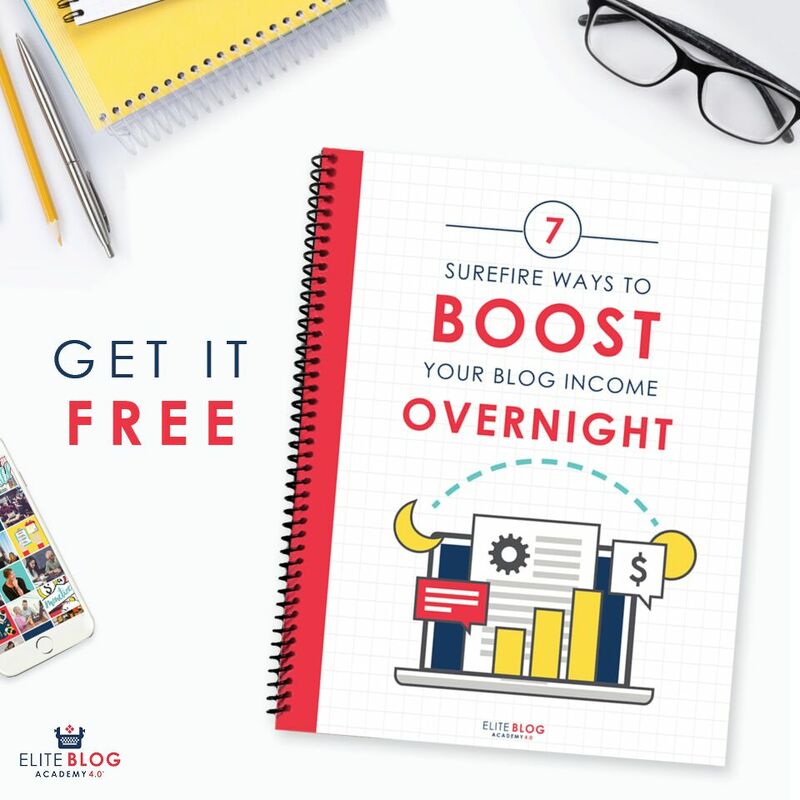 Previous Post: « My Blogging Income Went From $700/Month to $3,500/Month in One Year. Here’s How I Did It. Congratulations are in order! Making you last payment is definitely an important milestone! Back on topic, I definitely agree there are plenty ways one can study and avoid student loans. I tried applying for a scholarship when I started college, but was denied. I had to pay the whole darn fee 😀 But working full time on the side has helped a lot! So what if I didn’t have the best grades? I learned how to value my time, my money and found plenty of time to learn and pass all my exams. Thanks Adriana! Working during college does quite a bit even if it’s just part time. The main way you get through college without student loans (or at least without HUGE loans ) is to attand a state-supported school (unless you have scholarships or grants that make a private school reasonable. While Harvard or Yale may have enough cachet to thier name to make borrowing to attend worthwhile, the chance that an employer will be any more impressed with St. Whosit (generic private liberal arts college) than State U is pretty slim. Whle St. Whosit may provide a small personal environment, or a vibrant faith community or some unique core program that just sounds wonderful, is it really worth three times what State U costs? I agree. I’d say state colleges and universities should be a top pick if you’re looking to save money. Congrats! This is definitely something I want to implement with my daughter. Student loans have been such a huge burden in my life. I honestly did not understand the long term implications to getting such huge student loans. And they are not even that big compared to other people’s loans! Thank you so much for sharing!